I know Halloween is tomorrow, but I figured a few more interesting DIYs might not go amiss. I hope you’re getting all spookied up and if not I hope these will help! Happy almost Halloween? Sliding back into the Halloween spirit after all of the intensity with Hurricane Michael has been tough, but I am slowly but surely starting to feel a bit of the excitement again. One of the things I have been doing is watching the new Netflix show The Curious Creations of Christine McConnell. While this show isn’t Halloween specific, save for one holiday themed episode, Ms. McConnell’s aesthetic is very Tim Burton meets Martha Stewart, and her nightmarish bakes and DIY’s are perfect for this time of year. Before the Netflix show came out, I was only vaguely aware of her work. I’d seen a few things on her Instagram account and I knew that there was a book, but I had no idea how elaborate her world was. Of all the creepy things she makes, these little Caramel Nut Spiders are the thing that truly made me shudder. Spiders are one of my biggest fears, and holy crap, do these look too really for comfort. She even ate one – there was an audible crunching sound; it was awful. Spiders aside, there were some very cool edible creations like the cookie spirit boards and the chocolate tea set. Christine is joined in her twisted domesticity by a number of colorful characters such as Rose, a reanimated taxidermy project, Rankle, a mystical mummified former Eqyptian diety, Edgar, a flesh hungry werewolf-eqse creature, not to mention the handsome and murderous Norman. Oh yeah, and a ghostly Dita Von Tease (Vivienne) lives in her mirror. So much fun, and I have to tip my hat to Netflix for such a timely release. For all of you creepy crafters out there, you absolutely need to add this to your watch list. 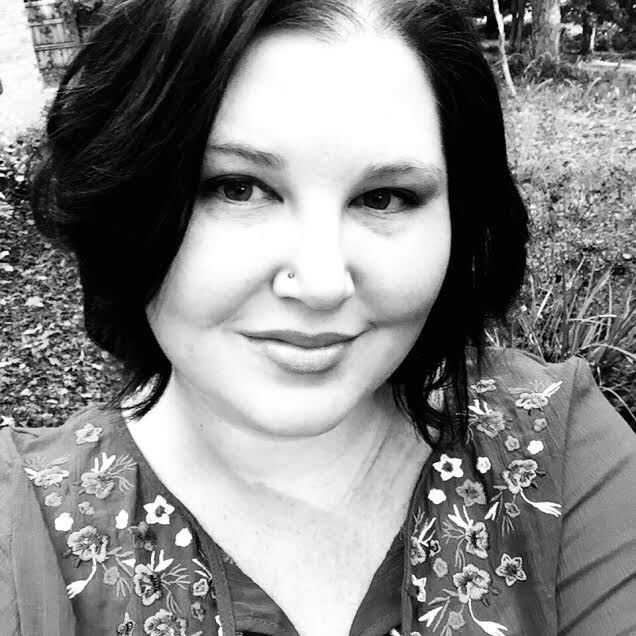 More about Christine McConnell here. We found out that Andy is going to be at a conference the week of Halloween, and that means that I have unfettered control of the TV so I am queuing up my Halloween Watchlist. Honestly, Andy would probably be okay with most of this, but this way I don’t have to feel bad about picking up take out and spending the evenings’ binge watching my favorite spooky movies. Actually they are more spooky-magic-y-ish than scary; I am a huge scaredy cat, and I can freak myself out very easily. Even when I’m not home alone. We watched the first Paranormal Activity, and I had nightmares for a week – poor Andy got punched in the face while I was flailing about one night. Anyway, here is my Top 20 Spooky-ish Movies. Honestly, I am really excited. I decided to participate a bit more in Halloween this year, and it has been completely worth it. I can’t believe I resisted for so long! What are the movies on your wishlist? Is there something only mildly scary I should be watching? Images from here, here, here,and here. I have forever had a fascination with witches and not the green wart-nosed variety. The mysterious empowered women who live by their own code and care not for the whims of society. When I was younger I consumed book about these women by the dozen, not really believing, but secretly hoping that I would discover some latent magically ability, but alas the only thing I have been able achieve is a bit of kitchen witchery with my bakes and DIYs. Unsurprisingly, witch-y wear is something I found myself drawn to year round, but I must admit the siren call of mystically and magically inspired items is especially strong this time of year. Like last year, I have assembled a wishlist of some of the items I am finding especially haunting. The spookiness is building. I’ve decorated my work office and started putting together a work appropriate Halloween inspired ensemble, but it isn’t enough. I’ve been trying to distract myself by expanding my Halloween board on Pinterest. 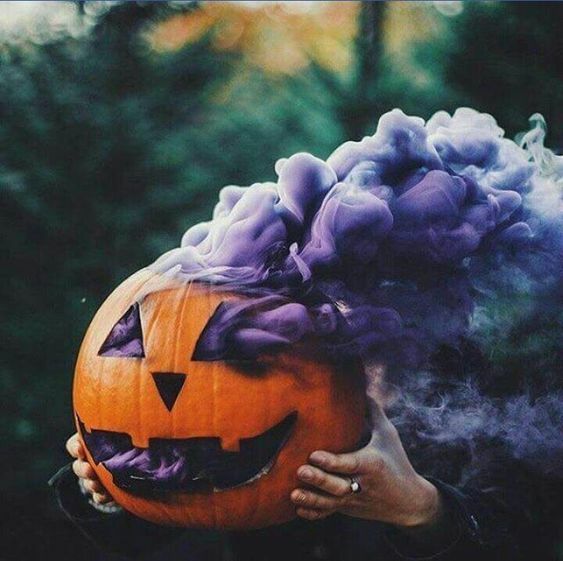 I don’t think I’ll be doing a smoking pumpkin this year, but it is definitely something I’d like to try at some point, at least for the photos. I am probably going to make some holiday inspired treats. Maybe some cobweb cupcakes… witches finger cookies… white chocolate mummies… who knows, there are A LOT of tutorials out there. This plaster cast centerpiece is really incredible; gotta love Martha Stewart, right? I wonder how many tries it would take for me to get it right… probably should buy a few extra molding kits, right? And of course these precious macaroons, I can’t even imagine the delicate touch you’d need to pipe those teeny, tiny details. Oh well, back to it, things to see, stuff to pin!